They took care of everything from start to finish the very first time. With warranty work, dealing with another shop, and an extended loaner vehicle, I had to do nothing other than drop the car off, let them know what needed fixed, and everything else was taken care of. Exceptional! Great team in the service department. I highly recommend their service department as they are transparent, honest and efficient. They provide a loaner car if needed and they stay in touch with you re the progress of the service appt. It’s clear that they value their customers and they offer top notch service! Safety and peak performance are two vital areas that I desire formy Land Rover Evoque at service interval appointments. I extend Kudos to Service Manager, PJ and his team member service advisor, Tom who both assured me of my service goals. I fully trust the knowledge of these Land Rover experts. PJ and Tom were most attentive,cordial, polite and kept me in the loop fully regarding factory service recommendations. I was readily offered a price point and time frame of each. 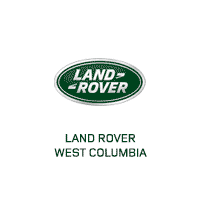 I can truly indicate that I left West Columbia Land Rover highly satisfied and confident of my Evoque performing at most optimum andpeak levels . Receptionist Sharon was also most polite and attentive during my visit at West Columbia to be certain all was going well. My family's vehicle safety and performance are in exceptional hands here. I certainly will be back here again, as I purchased this fine vehicle with anhighly knowledgeable sales guide, Larry, who was stellar, then and now, during my visits, along with Andrew , the tech specialist , who asks me if all is well too. The service men (2) of them were equally professional and kind .They went far above anything That I expected . Just routine maintenance, but great service all around.